“Hypatia: Synesius, you don’t question what you believe, or cannot. I must. Heladius Dignitary: The majority of us here…have accepted Christ. Why not the rest of you? It’s only a matter of time and you know it. 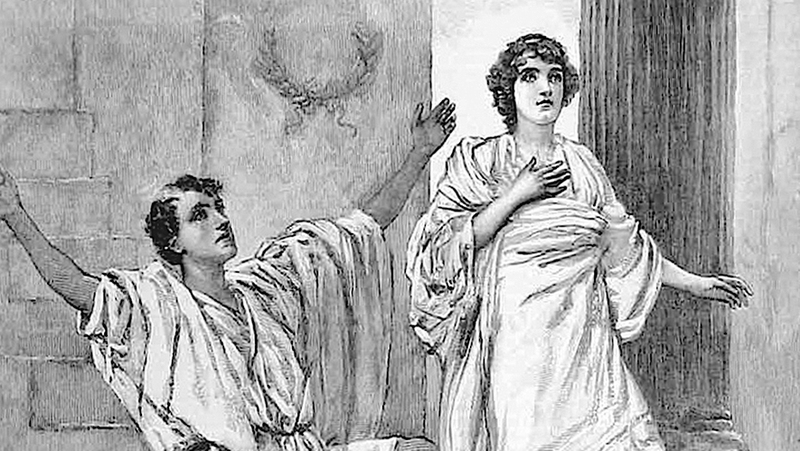 Hypatia: Really? It is just a matter of time?…As far as I am aware, your God has not yet proved himself to be more just or more merciful than his predecessors. Is it really just a matter of time before I accept your faith? Heladius Dignitary: Why should this assembly accept the council of someone who admittedly believes in absolutely nothing? Lighthouse of Alexandria, Ancient Egypt, 19th-century artwork. Also known as the Pharos of Ptolemy, it was designed by Sostratus of Cnidus and had three sections (not the ten levels shown here). Its construction was completed in the reign of Pharaoh Ptolemy Philadelphus between 285 and 247 BC. Fires were used at night, and mirrors in the day, to direct ships. Its height was between 115 and 135 metres, one of the tallest man-made objects of the time, and one of the Seven Wonders of the Ancient World. It was destroyed by several earthquakes in the 14th century. This woodcut dates from around 1870. Thanks for this. I have recently been thinking one should try to rescue philosophy from the modern sophists and academics. They have made it barely comprehensible. Without metaphysics philosophy can be little more than an exercise in logic and can never make a serious contribution to some the the real questions theosophy provides on ontology (the nature of being) and eschatology (concerning death, “judgement-karma” and destiny). Hi Will, I never replied to your comment. This scene definitely stands out, as the underlying feeling of that lost of wisdom and principles, kind of first message of the blog. I wonder why academia is solely geared towards objectivity, and critical examination, as you say, the metaphysics remain incomprehensible. It is seen as vague, and so with theosophy. This is not so, but it is the task of us, to outline it, so it can be studied.